The self-cleaning on your oven might seem handy with its ability to cut your kitchen cleaning process in half, but as it turns out this feature can actually be quite hazardous to your health. Without you even knowing it, your oven might be contributing to your respiratory issues, and maybe even harming the health your pets. Here are four ways in particular that your self-cleaning oven feature might be doing more harm than good. The North Iowa Municipal Electric Cooperative Association revealed that the self-cleaning function on your oven has the potential to create carbon monoxide. Carbon monoxide is a hard-to-detect gas that is extremely toxic to humans and animals. Specifically, it’s the baked-on and charred foods commonly found on the bottom of the oven that can lead to the creation of carbon monoxide. This reaction happens as these leftover foods start to heat up and burn during the cleaning cycle. To avoid the production of carbon monoxide, it is best that you clean without heating up the charred food. You can use a wire scrubber and soap, but avoid using chemicals. Cleaning products can create hazardous chemicals when exposed to high temperatures. If you insist on using your self-cleaning feature, know that there is no way to ensure zero-percent carbon monoxide emissions. However, to reduce the amount of carbon monoxide produced during cleaning, you take care of spills inside of your oven as soon as they occur. 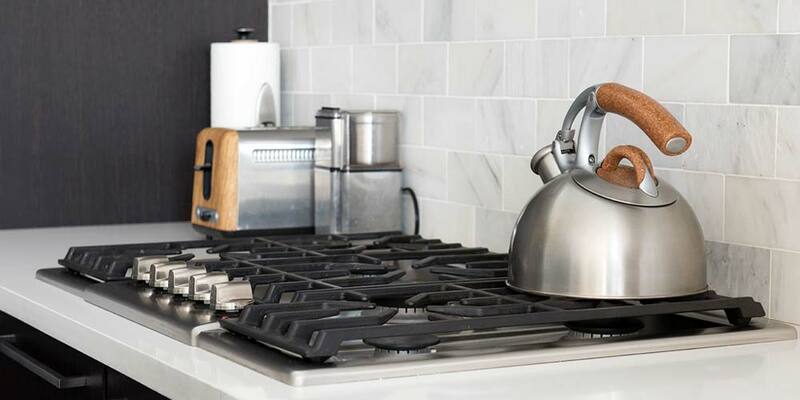 For those especially stubborn spills and baked-on foods, it’s best that you ensure the kitchen is well ventilated and that you turn on the exhaust fan or range hood while you’re running the self-cleaning function. 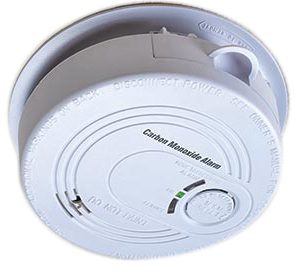 You’ll also want to check to see that any carbon monoxide detectors you have are in working order with fresh batteries. Click here to see the top-rated, Prime-eligible models on Amazon. The fumes created during the oven’s cleaning cycle can be especially hazardous to the health of any pets you have in your home. Fumes known as polytetrafluoroethylene (PTFE) toxicosis are especially dangerous to birds. A bird’s respiratory system is designed to send immense amounts of oxygen to their flight muscles. The downside is that their efficient systems quickly and easily send toxins straight through their bodies and endanger their lives. If you notice that your pet parakeet is acting sickly while you use your oven’s self-cleaning feature, it could be indicative of PTFE toxicosis. If you absolutely must use your self-cleaning oven feature, be sure that any animals you have are placed outside. Do this even if the kitchen area is well ventilated, because it is better to be safe than sorry when it comes to your animals’ health. Birds can either be placed in a ventilated room as far from the kitchen as possible or outside in a shaded area if weather permits. It might not be a bad idea for you and anyone else in the house to spend some time outside while the oven is cleaning. While you may not have the same sensitive respiratory system as a bird, there’s no reason for you to risk your health. Once again, it is always advisable to bypass the self-cleaning oven feature and clean it the old fashioned way instead. Your pets will thank you! Anyone in your home who suffers from an upper respiratory disease or asthma should completely avoid the kitchen while running the cleaning cycle on your oven. Opening windows and doors and running the exhaust fan in the kitchen may not be enough to dispel dangerous fumes. There’s a Teflon coating on the inside of your oven that can withstand regular baking and broiling temperatures. That coating doesn’t stand up so well against the extreme temperatures bombarding the oven as it’s being cleaned. Any Teflon fumes a person breathes in can easily lead to trouble breathing, coughing, chills, sweating and other flu-like symptoms. If you have a newer oven, it more than likely has heating elements hidden beneath the bottom and over the ceiling. 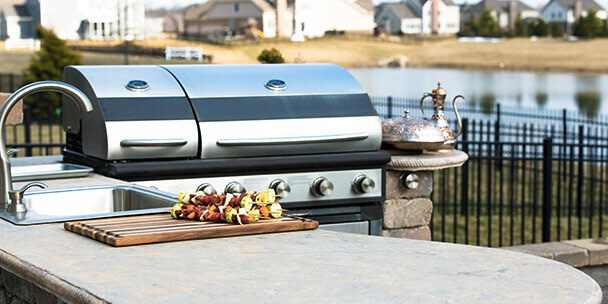 While these concealed elements make ovens easier to clean and prevent drips from charring or smoking, they can come at a cost. It’s hard for ovens to dissipate the high levels of heat produced during the oven’s cleaning cycle and still ensure there’s still enough air circulating. What happens is the fuses may blow out and control panels can burn out from the high heat. Even though oven manufacturers are well aware of what happens to oven fuses and control panels when exposed to extreme heat, so many consumers demand to have an oven with a self-cleaning feature that manufacturers feel they have no choice but to keep including it. 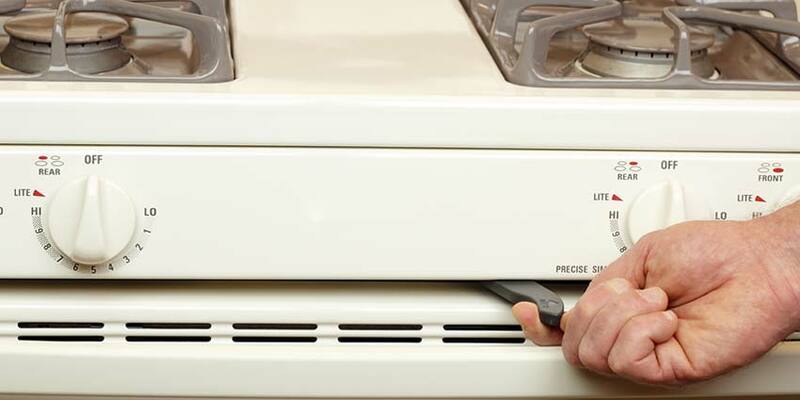 When ovens do become damaged from the cleaning cycle, they can be much more expensive and time consuming to repair, mainly because the entire oven has to be pulled out in order for the repair technician can gain access to the problem area. This is when it would suit you best to clean your oven with soap and water instead, because you are much less likely to do any damage. It may be time consuming and hard work, but you’ll end up saving money in the long run as well as preserving your health and your family’s health. Now that you know a bit more about the dangers of using your self-cleaning oven feature, you can better determine whether you want to use the feature at all. If you decide to take the risk, you should learn how to properly prepare your oven for a cleaning. The first thing you’ll want to do is read over your oven manual about what you should do before cleaning it. For instance, you’ll more than likely have to remove the oven racks and take care of any smears of grease and spills inside the oven. You may be able to leave in porcelain-coated shelves. Even though you can also leave in chrome-like shelves, the high temperatures can potentially leave them looking dull. If you decide to hand wash everything, all you do is take out the shelves and toss them in your sink for a good scrubbing. 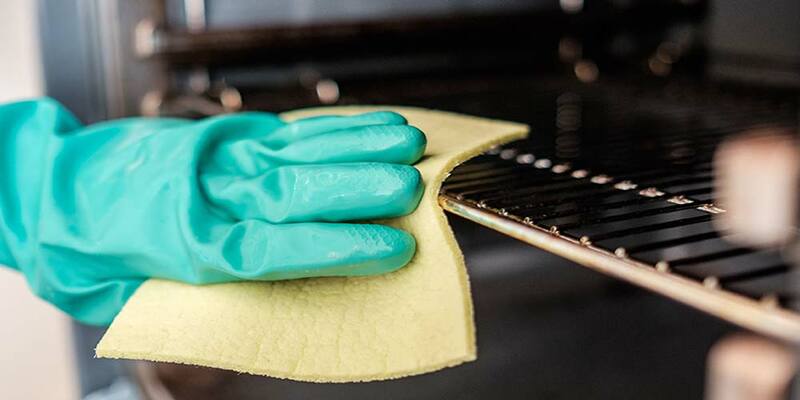 Before you replace them, wipe down the inside of your oven, and scrub any stubborn spots. Keep in mind that the more often that you clean your oven, the less amount of time food has to bake onto the sides. 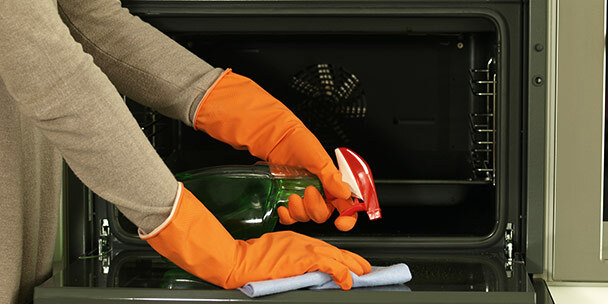 Try to clean your oven out after every one or two uses. Wiping away spots is not the only thing you should be concerned with when cleaning your oven. Maintenance is equally as important and can also cause damages if neglected or done incorrectly. If you have a damaged oven gasket, the seal around the door of your oven may not be as effective as it should be, meaning that some of the heat could escape as the oven is cleaning itself. Besides water and soap, it’s best that you not use any other cleaning chemicals on your oven, even if you use them before you start the cleaning cycle. 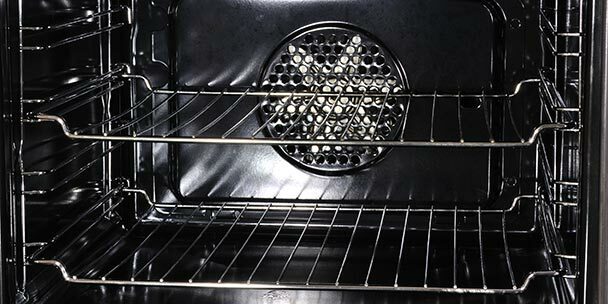 Any remaining chemicals can have an adverse reaction with the fumes created in the oven as it’s cleaning itself. You can also save on energy costs by cleaning up right after you use the oven in order to prevent baked-on messes. Just take care not to burn yourself. 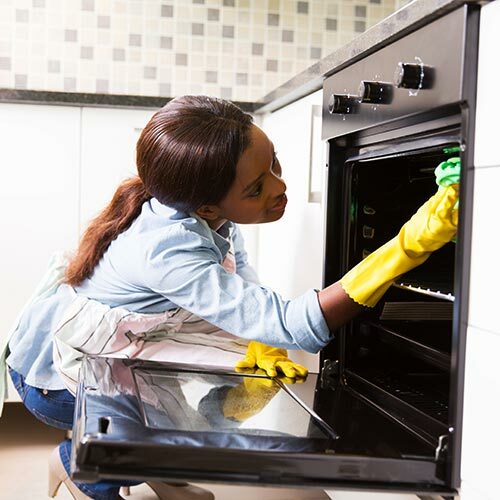 Finally, if you must use the self-cleaning oven feature, you should limit your use to no more than six times a year to help save energy, as well as wear and tear on your appliance. Again, make sure to clear out of the kitchen when this feature is at work! It might be convenient to clean your oven with this feature, but this is a situation when taking the time to clean the old fashioned way can save you and your family. To make the task easier, consider lining the bottom of your oven with aluminum foil to catch anything that might drip as you’re cooking. I bought a Kitchen Aid glass top electric range in 2014. I only used the self cleaning feature once two years ago. It was horrible and we had to leave the house! I have noticed that when I use the oven (350) there is a white powder on the oven door and sometimes on the tinfoil covering the food. I have contacted the seller as I have insurance. I am very concerned about how toxic this powder is. I can’t seem to find an answer online. Do u know anything about this issue? The white powder is likely the ash that the foodstuffs are oxidized to by the catalytic coating of the oven. As such, I’d imagine it has a similar composition to wood ash, a mixture of calcium oxide, calcium carbonate, maybe some iron oxide. Fairly harmless, in other words, but basic if dissolved in water. I agree the fumes can be noxious and can chase people out. 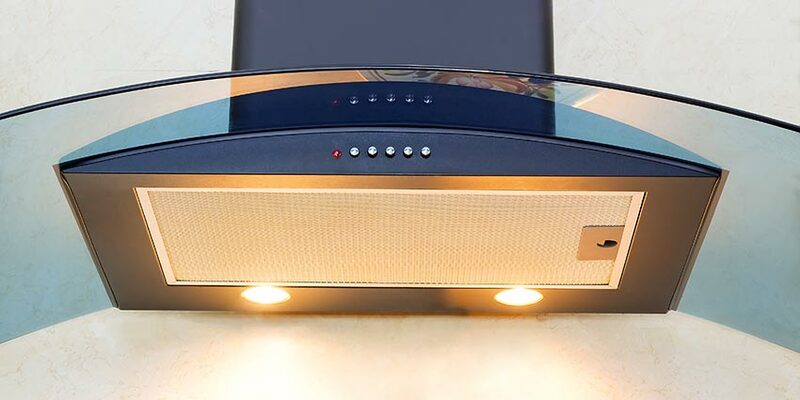 Recommend doing at night with kitchen exhaust fan on, helps remove heat and fumes. Typical cycle can be 3 to 3 1/2 hours long. Been building homes for >30 years, never seen an oven or any major appliance with fuses self contained. All should be on separate circuit protected by properly rated circuit breaker. Manufacturers have surely tested their goods (self cleaning cycle). If this was issue it would also show up in feed back to Consumer Reports etc. Now when using the oven, there is a strong smell from the oven itself which isn’t bearable. Im afraid the smell is toxic and thus may be harmful for the food. Although, I’ve attempted to clean the oven 3 times since the first cleaning I am unable to correwcr the problem. Any advice? The manual for my self cleaning oven says “DO NOT use oven cleaners or oven protective coatings in or around any part of the self-cleaning oven.” As I understand it, self cleaning ovens have a coating on the surface of the interior, and traditional oven cleaners damage that coating. You probably damaged that coating. I have no idea as to weather or not there is a way to restore that coating. I have many little “pit” marks in one area on the bottom of my self- cleaning oven. Is this from the self-cleaning part and has this destroyed or made my oven unsafe? It’s almost 20 years old and have only self-cleaned it 4 or 5 times.I just noticed the pitting the other day and haven’t used the oven since. We have a Bosch slide in range. I rarely use the oven and when I do I’m careful about avoiding messes. So after having the stove for a year I decided to use the self cleaning process. Next time I went to use oven no heat. The ignitor had gone bad. Repairman said it was likely caused by the self clean process. So no more self clean for me. And no more baking anything greasy in oven. I used the oven cleaner and cannot get it off of the top of the oven above the heat elements. It’s a good thing that I bought a Cruisinart Toaster oven, which is working great, because I’m afraid of potential toxic fumes from the left-over cleaner. The Cruisinart cooked chicken, pizza and even cookies great. suppose I can tackle cleaning it some more tomorrow. So glad that I did not use the self-cleaning option as I have 2 cats that I want to protect. Thank you for this informative article. How do I get rid of the smell now??? It’s still bad enough our eyes burn. I have cleaned the inside completely. We tried making a pizza and all the fumes came back. I had a white residue on the bottom of the oven and I laid some tin foil over it to catch any spill from something I was baking. As the oven heated up the oven began to smell and I tried to take the foil out. Not all of it came up and “cooked” into whatever was on the bottom to begin with. I’m afraid to run the self cleaning option. Any suggestions as to how to get this off? I’ve tried scraping without success .